Unfortunatly we have to stop the movement at this point and send the launch team home. A new harbor captain is in charge and he is not comfortable with "launching a submarine in his jurisdiction" especially since the bad guys in the jungles have finally gone submarine too... It is our project philosophy to keep everybody comfortable so we need to take out the pressure and give some time to become familiar with the project. We already hold a valid permit to deliver the hull to california as deck load. The project was desigend for a transfer of the hull autopropelled and not as deckfreight. - we have also proved now that we can build hulls in a much larger scale and still keep the project in a budget frame of 331 Euro per ton of displacement although third party factors may interfere and the political situation may become difficult. Why would i want submarine as a yacht in first place? A surface yacht, needs to be designed to have the means to withstand adverse weather conditions or to reach a safe harbor before such conditions come up. For a submarine yacht a save harbor is always near - just a few meters below. This has a mayor impact in the way how you operate a submarine yacht vs a surface yacht and in its cost o operation. First of all your tour plan is not limited by weather forecast and by harbors available along your route. 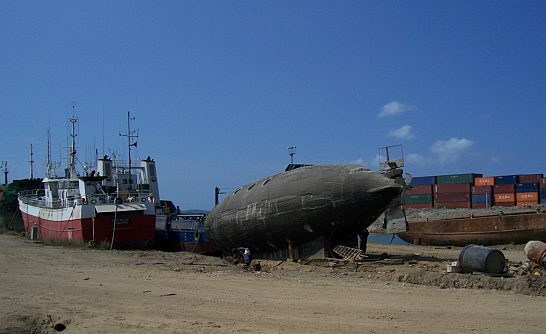 A submarine yacht as suggested at (www.concretesubmarine.com) exposes almost no surface of its hull to weather except a small sail (tower). So you can get the nose into the wind with a very small engine under any condition. On anchor place this means that the bow area is not lifted in any wave as it is the case in a surface ship which tends to bring tremendous forces to the anchor rig, which is the cause of anchor break out in severe conditions. A submarine yacht as my tested prototype brings very little force to the anchor rig - even in storm conditions. For surface yacht you need to find a hurricane save place during hurricane season so yacht owners frequently move their ships. A submarine yacht you can be left on anchor place in a open bay during that time - no weather condition will damage or affect it - this is a mayor cost benefit. A surface yacht must stay in marinas due to its vulnerability to weather - a submarine yacht allows true marina free operation any place is ok to stay during your trip you can have a nice meal and a fine night sleep in open sea. A burglar can break into a surface yacht of any kind using a light hand tool - this is not the case for a submarine yacht. A hatch can be made with security features of a bank safe - break in with tools you can deploy on an anchor place is impossible. A act of piracy is also impossible a pirate can get on deck - but never into the hull. The main reason why yachts stay a lot in marinas and very little time at sea is wave action. A submarine yacht can go to snorkel depth and is perfectly quiet in a minute without relaying on breakwaters. You can have a nice meal and go to sleep with no ship movement and security concern at all. Sub surface living space is the only quiet and safe living space available at open sea. In July 1996 Ben Franklin a 130 ton research submarine made a drift dive of 30 days over a distance of 2700km in Golf Stream. This dive compared with a submarine balloon trip was performed without any engine use. 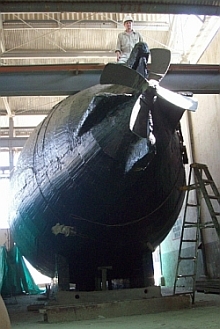 Submarines that have a non-compressible buoyancy regulation can stay stable at certain depth to do that kind of voyage. So the recommendation for a engine in a submarine yacht must be between 2HP/ ton which is emergency power for a blue whale. This is already considerably less than you would have in a surface yacht but you should be aware that in a surface yacht you need a engine surplus to fight against a storm that could smash you against a reef. For a submarine yacht you could get away with a even smaller engine that would take you just to efficient cruising speed which is the range of 0.2 HP / ton of displacement. You may have a engine that is 5-10 times smaller than a similar sized surface yacht which means a mayor reducction in building and maintainance cost. In a yacht submarine you have about half of the displacement as ballast weight. If you push it to the extreme you could replace all your ballast with diesel tanks. This would give you a tank reserve of 100.000 liter in a 200 ton submarine yacht. Which can take you 10.000 cruising hours at 3 miles/hour - So without taking the possible tank volume to the limits - you can have a tank size for oceancrossings in a submarine yacht. The concrete submarine hulls of our concepts are built according to the same rules that apply to submarine tunnels and bridge foundations - in the same way the only surface that is exposed to sal****er environment is a rounded concrete surface - therefore the maintainance needed is similar to a bridge foundation or tunnel - it stays in water for liftime - no dry dock, no painting, no sandblasting, - this is a mayor maintainance cost reduction compared to a normal yacht. The hull building cost of our concrete hulls is less than 1/3 of building a comparable steel hull. The engine size you will build in is less than half of the horsepower you would have on a surface yacht of similar size. This is a mayor building cost reduction compared to a surface yacht. One of the best uses for a submarine yacht is probably using it like a business jet, or a megayacht. Traveling worldwide while being independet of a specific place and go where business opportunities or needs come up. In a yacht submarine you have about half of the displacement as ballast weight. If you push it to the extreme you could replace all your ballast with diesel tanks. This would give you a tank reserve of 100.000 liter in a 200 ton submarine yacht. Which can take you 10.000 cruising hours at 3 miles/hour - So without taking the possible tank volume to the limits - you can have a tank size for oceancrossings in a submarine yacht." the fuel costs there are more than my sub would be worth..not getting how this is cost effective...?? yes enormous range if you can afford the 100 000 liters..??? where i see cost effectiveness is in the D.E. propulsion since you are storing energy in batteries to be used later- hence you increase your range this way--if i want to go 10 000 miles-- and i burn 1.5 liters an hour, then @ an average of 4 knots(averaged surface and submerged running) then i get 2500 hrs needed so at 1.5 litres an hour thats 3750 litres or about $5000.00 in fuel! thats not cheap! over the trip of 10 000 miles you save - 1600 miles worth of fuel. but that still doesnt seem like a whole lot to me. and an engine that would burn that much -would be small--i estimate my diesel (30 hp) to use about this much when running at about 6 knots submerged. * i am assuming this is how long a stack of batteries would run the e-motor. the more batteries the more charge time required running the diesel. so perhaps this is not correct and not a good example...???? Running a diesel 24/7 is not cheap, even if it is the smallest diesel you can find. The beauty of a snorkel boat concept is in the fact that your diesel can be very small - much much smaller than anything that a surface ship of similar size could have. In a surface ship the diesel needs to be strong enough to bring the bow into the wind during a storm. In a snorkel boat the diesel just has to overcome the windforce created by the sail area of the snorkel. The diesel in a submarine yacht is ten times smaller, needs ten times less fuel. The high tank capcity is a option that you can take advantage of when you visit a country where diesel is incredible cheap - so you can get a year supply of fuel. You are in no obligation to fill this enourmous tank to start your journey. If you are low budget you might use your diesel only the first day to engage the golf stream in florida then shut it down and opt for a pure drift dive ocean crossing as Ben Franklin (see log Benjamin Franklin drift dive) did - and start your diesel again at the end of the voyage when England comes in sight some 45 days later. The total diesel use for crossing the Atlantic would be a few liters. Other than the Ben Franklin which was assisted by a surface ship to catch the golfsteam - a whale shaped boat with a small diesel can take the trip into the stream with no assitance. 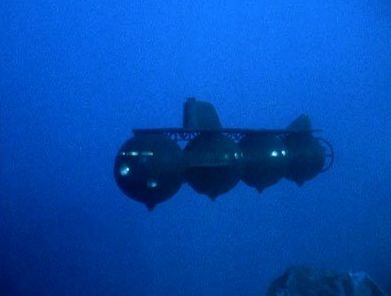 i did post a question on how to see at night in the sub..?..how about depth and front views when its dark or the waters are dark..to keep from hitting a submerged object ,ship or anything else....?/whats your plan? Minimum depth for drift diving. Ocean currents tend to be faster on the surface. You could do a drift ocean crossing in a surface boat too, but the wave movement make a just hang there being pushed around by the waves without the stabilizing effect of sails or motor quite unpleasent. In a sub being at sea is as pleaseant as being docked. So you can take your time for a ocean crossing. Sea animals like turtles do their thousands of miles voyages almost exclusivly as drift dives with the current - not as active swimmers. I would suggest to hang on the snorkel at 3-4m depth sticking the snorkel mast out some 7m to have a high camara point for a good outlook. Other than a sailing yacht you can hear a approaching ship in the hydrophones before it comes in sight on the surface. We are still in the original agreed budget frame. The shipyard has now changed ownership and the new shipyard owner moved in. Third party interference factors have changed to a point that we can continue the project. Wil--is there an update of the launch yet? 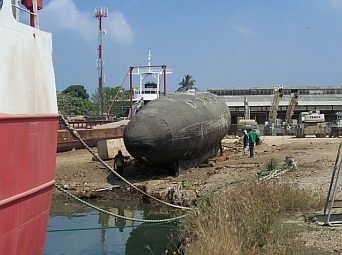 have you arranged to have the sub shipped-or still bringing it on its own keel? As you know the project has experienced phases of work stop due to all kind of third party interference factors. The shipyard went down, was sold and then rented to other firms. What was a shipyard when we started the project, is a crude oil load terminal now. Officials familiar with the project went out of office and where replaced by new people not familiar with the project and taking hostile action against it. The political situation changed (interdiction act). All in all the how and intensity of "Media cover" has become a critical part of the project. Until now we had maybe 1 out of 7 days where we could work in peace on the project. So the time shedule for building went from initially planned 7 months to 4 years. Things are in flow and i find myself frequently stepping out of the project and doing something else ( like organizing the repair of a container ship ) while i keep cooking the sub project on low level until third party interference allows me to go back and retake the project. The important thing is that we made it inspite of all trouble and we kept it in the original budget after all. For reasons you can imagine it is not smart to "publish anything that happens in detail in real time on internet". The mere fact of "going public" can convert into "part of the problem very quickly". So i will not give further details for now other than third party interference ambient has changed to a point where we can retake some works on the boat during november. 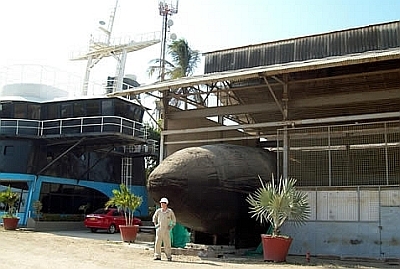 Basicly the hull is finished in raw building - and raw building of the hull was the contract for us. What happens from there does not depend on me - it depends on the owner who is taking over the project now that raw building is finished. And while the boat is on land it depends on third parties like the management of the oil terminal who is in charge of the terrain what can be done. We have all the necessary permits, for the project, and we have done our part already. So the question what is next - is like reading a cristal ball...it depends on circumstances i do not really have under control. Yes Wil- I totally understand--the build has been an inspiration to me and many others..you are a true pioneer. When my project gets media coverage - and it will-whether i like it or not, i am going to make sure you get the credit you deserve...I will be telling whoever i speak to about your projects and how they changed my way of thinking about hull materials and alternatives. I think that media coverage is a thing that can help and can damage a project - so if you go for media make sure that you have a good handling plan that assures that media stays a positive project factor. As you can certainly imagine in the current paranoia driven ambient media cover of private submarines always tends to create "sensationalistic threat scenarios" which will not work for your cause. 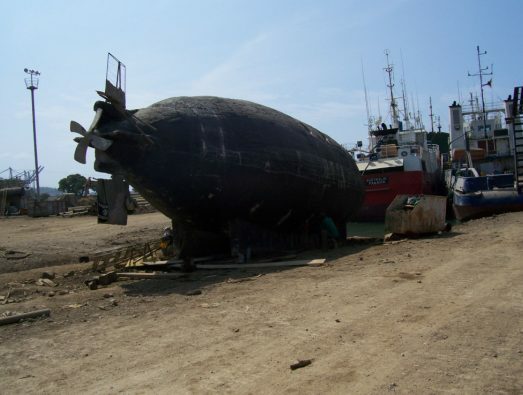 Here in Colombia you certainly can not have a submarine yacht talk without anybody assuming that in some twisted way this must have something to do with illegal activities. The situation in united states may even be worse. So to have a kind of round up of lessions learned from the project i would say in the next project what i will look for is a "third party interference free ambient to build" as the most important project factor. I consider Media as something like a snake, if you do not know ecactly how to handle it - it is better to avoid it. In any case try to choose the moment, the place and timing of your media engagement in a way that favors your cause. The story that there is a hard working guy who builds something in a shed that might be considered a step forward in yacht technology on a low budget is just a "lame report" - for media purpose it is much better to report a "incredible new terror threat based on u-boats", or a "complete wacko who is good for a laugh". Neither of those "pepped up" report versions suit your cause in any way and can on contrary trigger that a investors steps back from your project, that the official who supported your project because he found your effort interesting and admireable now takes a distant position. So while you are in a early building phase media certainly have little probability to contribute something positive but high potential to cause damage. This changes a bit when you get operational and the pepped up version of a wacko starts to be excluded by the obvious. But still while the hull is black and raw (like mine in the pictures above) the threat version is on the table. So make sure you have yellow or white paint on it and a smiling dolphin on the sail so that the "threat version" also becomes a bit non feasible by the obvious. Your ego may push you to "go media" much earlier than it is healthy for your project - try to avoid that. When talking about media Internet is a kind of "media apart" Internet allows you to have your public statement in form of a website that can not be alterated and twisted by a "reporter". So have a website that works as reference point for supporters. You also might have blogs and discussion forums - but if you have discussion forums make sure that you have control to delete stupid comments from stupid guys. So avoid to have your discussion in a way that goes out of control. 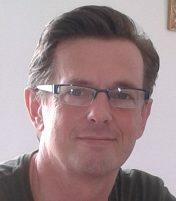 You have seen me over the years having discussions of all kind you can see part of that when following the discussion link on my website . The way as discussion with a "non informed public" frequently develop made me develop a discussion politics that includes to step away from "stupid discussion" much more quickly now than i did in earlier days. If you discuss, and publish sub yacht info in a public space also be careful not to give advise to the wrong guys. I have been crucified many times for the "lack of tech detail info" on forums - but believe me it is a necessary thing to have that kind of "no how to build info to the wrong guys" politics. made the mistake of going back to boatdesign .net to discuss where to find a good hatch--big big mistake...i can be the first to tell you--nothing has changed and im done with that site--funny though i cannot find a place to close my account--apparently its like that song "hotel california"
"you can go anytime you like but you can never leave..."
This is probably a good way to tackle the matter - have your stuff on internet in a way that only somebody who does a "really informed and precise google search" can find you - so you keep a door open for the guys that already went trough the basic stuff and know what they are looking for. I always say that my potential customers, collaborators, and supporters are less then 0,01 percent of a random "public" - so placing yourself in a niche that only the indicated 0,01 percent will find, is a perfectly well suited media strategy. The vast majority of the public is of "no support value at all" but creates a high potential of interference and trouble in a submarine yacht project so try to keep them out by "flying it below media hype radar". Status: The concrete shell is done - the projects future rests now in the hands of the owner. Our mission has been the construction of the concrete shell. For hearing about the newest developments in the concrete submarine project please choose a non-public channel to the project management and become member of the the Concrete Submarine Support Club. We are discussing and developing new projects now. 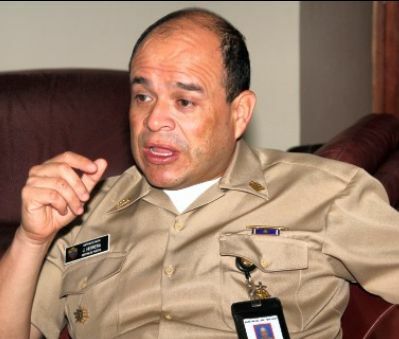 Luego de ser trasladado a la Subdirección de Marina Mercante en Bogotá, el capitán Juan Francisco Herrera Leal entrega el puesto al Capitán de Navío Juan Carlos Roa Cubaque, Capitán de Puerto de Buenaventura. Become a member of the Concrete Submarine Support Club. Get access to reserved information about our projects, participate in password protected "member only" forums. Be part of a group of people that is considered friends of our projects. Get an internet boardroom (discourse), where a number of invited guests can have a natural conversation, with pictures and refererence links, far beyond the capability of e-mail. Hold all the info together, use multiple media. Limit, and grant access, get a resident advisor/expat to your project. Get set and running, for only USD 100 / market opening / business development / tip your toe in / joint venture / testing / exploring / resources, mentoring, advisory, network / get started / personalized fact finding / low risk entrance / - info@tolimared.com .